With 30g of protein per serving, and a daily boost of carbs from oats and dextrose, it’s perfect for fuelling3 any kind of training, and making sure you’re hitting daily nutrition goals. 1. Creatine is proven to improve physical performance in successive burst of short-term, high-intensity exercise. The beneficial effect is obtained with a daily intake of 3g creatine. When to take All-In-One Perform Blend? Get the most out of this super shake by adding 2 1/4 large scoops (70g) to water or milk and having immediately after exercise — or enjoy in the morning to fuel your day. 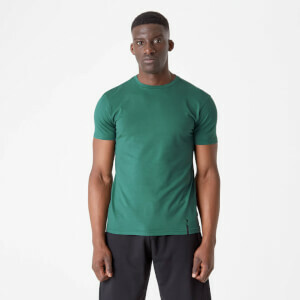 What All-In-One Perform Blend work well with? Top up your protein, carbs, and creatine throughout the day with the All-In-One Perform Bar — for when you’re on the go and don’t have time for a shake after training hard. Blueberry Flavour: Protein Blend (49%) (Whey Protein Concentrate (Milk), Whey Protein Isolate (Milk)), Carbohydrate Blend (Dextrose, Ground Oats), Glutamine, Creatine Monohydrate (Creapure*®*), HMB (beta-hydroxy beta-methylbutyric acid), Emulsifier (Soy Lecithin), Acid (Citric Acid), Natural Flavouring (Sulphites), Colour (Beetroot Red, Anthocyanin), Sweetener (Sucralose). 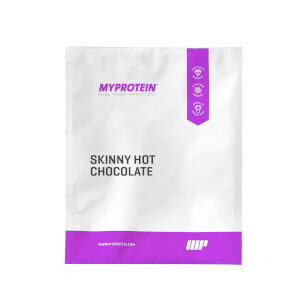 Chocolate Coconut Flavour: Protein Blend (53%) (Whey Protein Concentrate (Milk), Whey Protein Isolate (Milk)), Carbohydrate Blend (Dextrose, Ground Oats), L Glutamine, Creatine Monohydrate (Creapure*®*), HMB (beta-hydroxy beta-methylbutyric acid), Emulsifier (Soy Lecithin), Flavouring, Colour (E150c), Acidity Regulator (Malic Acid), Sweetener (Sucralose). Natural Banoffee Flavour: Protein Blend (49%) (Whey Protein Concentrate (Milk), Whey Protein Isolate (Milk)), Carbohydrate Blend (Dextrose, Ground Oats), Glutamine, Creatine Monohydrate (Creapure*®*), HMB (beta-hydroxy beta-methylbutyric acid), Emulsifier (Soy Lecithin), Natural Flavouring, Colour (E150c), Sweetener (Sucralose). 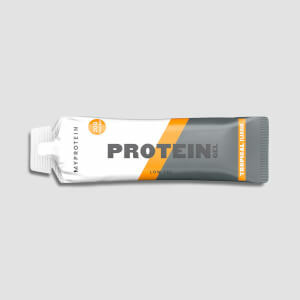 Orange Cream Flavour: Protein Blend (49%) (Whey Protein Concentrate (Milk), Whey Protein Isolate (Milk)), Carbohydrate Blend (Dextrose, Ground Oats), Glutamine, Creatine Monohydrate (Creapure*®*), HMB (beta-hydroxy beta-methylbutyric acid), Emulsifier (Soy Lecithin), Flavouring, Colour (Carotenes), Sweetener (Sucralose). Pineapple Flavour: Protein Blend (49%) (Whey Protein Concentrate (Milk), Whey Protein Isolate (Milk)), Carbohydrate Blend (Dextrose, Ground Oats), Glutamine, Creatine Monohydrate (Creapure*®*), HMB (beta-hydroxy beta-methylbutyric acid), Emulsifier (Soy Lecithin), Flavouring, Colour (Curcumin), Sweetener (Sucralose). Rocky Road Flavour: Protein Blend (45%) (Whey Protein Concentrate (Milk), Whey Protein Isolate (Milk)), Carbohydrate Blend (Dextrose, Ground Oats), Glutamine, Creatine Monohydrate (Creapure*®*), HMB (beta-hydroxy beta-methylbutyric acid), Emulsifier (Soy Lecithin), Cocoa Powder, Flavouring, Sweetener (Sucralose). 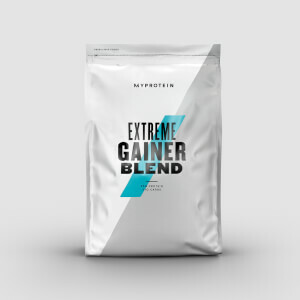 Salted Caramel Flavour: Protein Blend (49%) (Whey Protein Concentrate (Milk), Whey Protein Isolate (Milk)), Carbohydrate Blend (Dextrose, Ground Oats), Glutamine, Creatine Monohydrate (Creapure*®*), HMB (beta-hydroxy beta-methylbutyric acid), Emulsifier (Soy Lecithin), Flavouring, Colour (E150c), Sweetener (Sucralose). Stracciatella Flavour: Protein Blend (45%) (Whey Protein Concentrate (Milk), Whey Protein Isolate (Milk)), Carbohydrate Blend (Dextrose, Ground Oats), Glutamine, Creatine Monohydrate (Creapure*®*), HMB (beta-hydroxy beta-methylbutyric acid), Emulsifier (Soy Lecithin), Cocoa Powder, Flavouring (Milk), Sweetener (Sucralose). White Chocolate Flavour: Protein Blend (49%) (Whey Protein Concentrate (Milk), Whey Protein Isolate (Milk)), Carbohydrate Blend (Dextrose, Ground Oats), L Glutamine, Creatine Monohydrate (Creapure*®*), HMB (beta-hydroxy beta-methylbutyric acid), Emulsifier (Soy Lecithin), Flavouring, Sweetener (Sucralose). I'm no professional nor any world class athlete. I'm just a normal guy that works out pretty often and hit the gym at least 4 - 5 times a week. Here's just my 2 cents worth: When I first open the bag, it looks just as similar as the ones you get for impact whey. Nothing fancy. But on a closer look, you can spot some white micronised powder that is apparently the creatine. Being a big chocolate fan, I opted for the chocolate smooth. I expected the taste to be the same as the ones at impact whey. But boy, I was wrong, its nicer! Stronger in taste and feels like real chocolate drink. For those looking for some extra carbs, creatine, etc. This is the one. All in one! I mean, what's better than you get all you need in 1 serving right? Bam, Hurricane, this is the one.